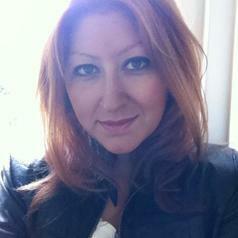 Dr Bahar Baser is a Research Fellow at the Centre for Peace, Trust and Social Relations. She is also an associate research fellow at the Security Institute for Governance and Leadership in Africa (SIGLA), Stellenbosch University, South Africa. Before joining CTPSR, she was a postdoctoral research fellow at the University of Warwick at the Department of Politics and International Studies between 2012 and 2014. Bahar completed a PhD in Social and Political Sciences at the European University Institute in Florence, Italy. During her PhD, she had the opportunity to work as a Visiting Research Fellow at Humboldt University (Berlin Graduate School of Social Sciences) in Germany, REMESO (Institute for Research on Migration, Ethnicity and Society) in Norrkoping, Sweden and the Instituto de Ciencias Sociais (ICS) in Lisbon, Portugal. Prior to her PhD, Bahar worked at the Department of Peace and Conflict Research at Uppsala University in Sweden as a Junior Researcher on the “Diasporas and Their Involvement in Peace Processes” project funded by the Swedish Ministry of Foreign Affairs. She holds an MA degree on Peace and Conflict Studies from Uppsala University, Sweden and BA in Political Science in International Relations from Bogazici University, Turkey. Bahar’s research interests include ethno-national conflicts and political violence, conflict resolution, third party mediation, migration and diaspora studies. Bahar has various publications in peer-reviewed academic journals and she has published a book in Turkey entitled: “The Turkish-Kurdish Question in the Diaspora: Second-generation in Sweden and Germany.” Her book “Diasporas and Homeland Conflicts: A Comparative Perspective” was published by Routledge in 2015. She has two co-edited volumes forthcoming in 2017 from IB Tauris: Authoritarian Politics in Turkey (co-edited with Ahmet Erdi Ozturk) and Migration from Turkey to Sweden: Integration, Belonging and Transnational Community (co-edited with Paul Levin). Her research has been funded by the Swedish Institute, the Italian Foreign Ministry, Coventry University and the Newton Fund-National Research Foundation (South Africa). She has written policy reports for Berghof Peace Foundation, TUSIAD Foreign Policy Forum and the Heinrich Boll Foundation. She is currently leading the Comparative Peace Processes Module for the MA Program in Peacebuilding and supervises MA and PhD students.